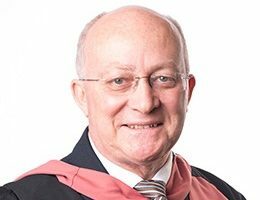 Brother Michael has been involved in Marist education, across Australia and internationally, for over forty years as a teacher, school principal, administrator, author, and course presenter. In 2017 he concluded an eight-year term as the foundation National Director of Marist Schools Australia and the Executive Director of Marist Ministries for the Marist Association of St Marcellin Champagnat in Australia. Brother Michael’s studies have been in the disciplines of history, theology, scripture, and education. His doctorate, which explored the culture of Australian Marist schools, brought together the anthropological concept of culture and the theological dynamic of charism. As well as his scholarship in Marist history and spirituality, he has a particular interest in the ways in which the spiritual families of the Church can contribute to its vitality and renewal. Carolyn Mee was educated at St Joseph’s College, Mildura. She completed an Education Degree at Flinders University while residing at Aquinas and was the first female president at Aquinas in 1991. Before her appointment at the College, Carolyn was a lead teacher and Head of House at Pembroke School. Additionally, Carolyn has a post-graduate qualification in counselling and Positive Education. She is also a Justice of the Peace in South Australia. Sarah completed her initial qualifications in Education and Arts at the University of Adelaide, and subsequently attained a Bachelor of Visual Arts (Honours) and a Doctor of Philosophy (Visual Arts) from Charles Darwin University, completed in Germany. Initially working in youth ministry at Saint Ignatius College, Adelaide, she then went on to teach Art, English and History at Loreto College and O’Loughlin College, Darwin. She is a practising visual artist and has a particular interest in equipping university students to succeed academically. Michael Braithwaite was educated at Tenison Woods College in Mount Gambier. With a business degree from Deakin University, he is a member of the Institute of Chartered Accountants. He has a Graduate Diploma in Psychology from Flinders University, where he is presently undertaking a Masters Degree in Educational Administration. Brother Mark was educated at Bunbury Catholic College. He has completed degrees in Education, Religious Education, Social Work, Theology and Pastoral Studies. He has taught in Primary, Secondary and Tertiary sectors in SA, WA, VIC, NSW and Timor Leste. In Timor Leste he was the founding Director of the Catholic Teachers’ College which is conducted by the Marists. His teaching has also extended to working in the welfare sector, youth ministry and the community engagement area within schools, universities and Juvenile Justice Centres. Sally, originally from Port Lincoln, lived at Aquinas college for four years while studying education. Having taught performing arts in Catholic schools both in Adelaide and interstate for a number of years, Sally has recently undertaken further study and completed a Bachelor of Visual Arts. She is now studying her Master’s degree in Art History at Adelaide University. Originally from China, Kerry came to Australia to finish her high school education. She has a Bachelor of International Hotel Management and has extensive work experience in the hospitality industry. She later completed a Master of Business Professional Accounting at the University of SA. She recently graduated as a Certified Practising Accountant (CPA). 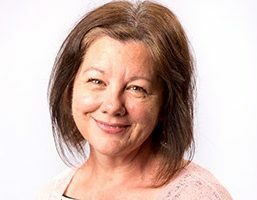 Jo has had a long career in finance and most recently worked at North Adelaide Primary School before commencing at Aquinas in 2016 to take up the role of College Admissions Officer responsible for student admissions, family liaison and PA to the Rector. Stacey has a background in a variety of administration roles and recently was managing a rural outback motel. Coming from a large European family, she relates well to students of all ages and backgrounds. As well as working closely with the Admissions Officer in the front office, Stacey is also responsible for handling student keys, day-to-day accounts and clerical work. Mark completed his Cabinet-making apprenticeship in 1984. He was then involved in building and installing kitchens, as well as working as a Carpenter in projects that included the refurbishment of the Indian Pacific rail carriages. In 1995, he took up a position as a maintenance carpenter at Wilderness School, rising to the position of maintenance manager. After 18 years at Wilderness, Mark found his way to Aquinas. Born in the UK, David was educated in England, Northern Ireland, NSW and SA. David’s occupations have included: process worker, fruit picker, taxi driver, courier and child-carer. In 2006, David came to Aquinas to take up the position of goundsman/gardener. David is a keen environmentalist.